You are here: Home / FREEbies / FREE BioFreeze Gel Pack! Get your FREE BioFreeze Gel Pack! Just head over here and fill in the form with your information. 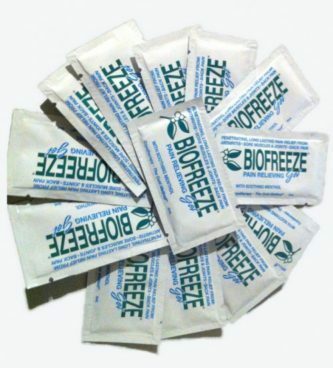 Biofreeze provides penetrating, long lasting relief from arthritis, sore muscles and joints, and back pain. Our unique menthol containing formula penetrates quickly, preventing or relieving pain through cold therapy.